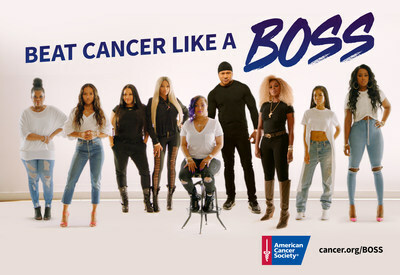 NEW YORK, April 15, 2019 /PRNewswire/ -- Today, American Cancer Society (ACS) has released an all new video marketing campaign "Beat Cancer Like A Boss" in partnership with entrepreneur and ACS ambassador, Simone I. Smith, to encourage those affected by cancer to evoke their inner "boss" mentality against all odds. Stretching beyond traditional non-profit infomercial, PSA style campaigns, "Beat Cancer Like A Boss" expresses a relatable message of strength, resilience and unity, to inspire a movement and create awareness. Along with Simone I. Smith, this disruptive campaign attracted a few familiar faces with their own stories to tell including LL COOL J, Mary J. Blige, Salt-N-Pepa, Jordin Sparks, Jhene Aiko, Remy Ma and more, appealing to a diverse demographic and engaging Gen X, Millennial, and Gen Z audiences affected by cancer. You can view the campaign here (https://youtu.be/i3kXYjB_8vY). "I was in utter disbelief when I received my stage III diagnosis, but what I quickly learned with the support of my husband and family, was that cancer was not something that I had to let consume my inner being or personality," says Simone I. Smith. "With the help of ACS and a few friends, this campaign was created to empower women to lean onto their support system and tap into their strength to 'Beat Cancer Like A Boss,' a message I carried with me throughout my journey to recovery." ACS has a longstanding partnership with Simone I. Smith, that began with her desire to give back following her fight with Chondrosarcoma, a rare bone cancer that she was diagnosed with in 2004. In 2011, Simone created and launched a series of signature "A Sweet Touch of Hope" lollipop pendants, a personal ode to her cancer journey, where a portion of the proceeds from every piece in the collection went directly to ACS. 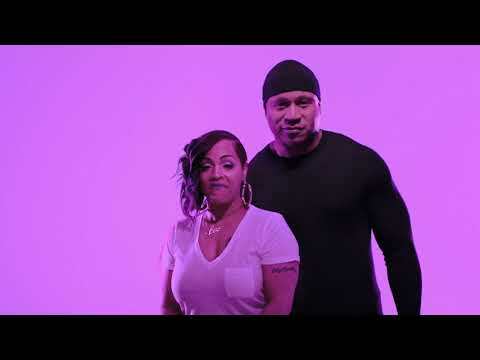 Now, along with her husband LL COOL J, Simone I. Smith and ACS aim to encourage those diagnosed and those supporting a loved to overcome the barriers and hardships that they often endure together and "Beat Cancer Like A Boss". "African Americans are un-equally affected by cancer and it was our goal with this campaign to instill hope in the families and survivors as we strive to find a cure," said Sharon Byers, Chief Development, Marketing & Communications Officer. "Through Simone's very personal story, we wanted to reach a wider community of people impacted by this disease cancer and encourage them to utilize ACS and it's support system in their ongoing fight." According to ACS, African Americans have the highest death rate and lowest survival rate of any racial or ethnic group for most cancers in the United States (SOURCE: American Cancer Society. Cancer Facts & Figures for African Americans 2019-2021). For more information on the American Cancer Society and its programs, or to donate, you can visit https://www.cancer.org/, or follow them on Twitter, Instagram, and Facebook.